Home Art Beautiful Photography What do you Know about Composition, Light, Imagination? What do you Know about Composition, Light, Imagination? Probably we all had a camera in our hands at least ones. But just some of us have realized that it is a life mission to become a photographer. We all know that an incredible ability to catch the memorable and cherished moments can be not just an interesting hobby but a profitable and exciting work. But, before you will become a master of photography there are a few rules and tips on now to create good quality pictures. I am sure those simple photography tips for the beginners with come in handy to any of you who love taking photographs and adore traveling. 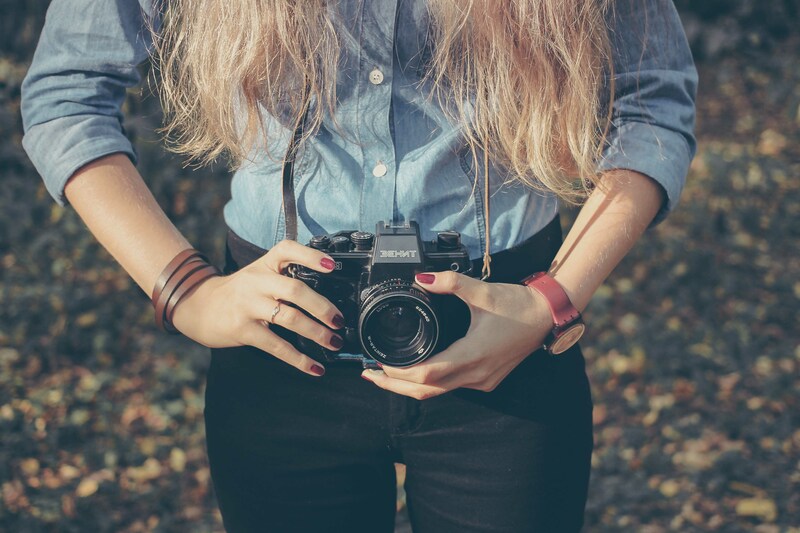 Some people say that the most important thing for the photographer is to purchase a good quality, professional photo camera right from the moment they have decided to become a photographer. I don’t think so, I am sure that it will be very good to start taking pictures with any camera you have in your hands or even smartphone. Such a thing like a professional photo camera is not cheap, you know that. Well, definitely, having a professional camera is one step closer to the possibility of becoming a professional photographer. But even the professional photographers I am sure still remember their first steps towards big dreams and first photography tips for the beginners. You see they also were the beginners. In fact, I am still the beginner as well. The first step towards your success is the ability to set up the proper composition. Every photographer in a certain way is an artist. Some artists create with paints on paper and a photographer brings to the real masterpieces with the lights and composition. “Composition is the placement or arrangement of visual elements or ingredients in a work of art, as distinct from the subject.”, Wikipedia. The ability to properly apply the sharpness, to correctly choose where the background and foreground should be in the picture, which things should be in focus and which things should be blurry is very important for a photographer. Many masters say that it is not important what camera you use to take photos but it is important what can you see through the lens. Some photographers can choose the correct angle, catch the right light even with a camera built into the smartphone. Practice your ability to see and catch the right moments. That is how you start developing your interests in photography, through your vision. Any master of photography will undoubtedly recommend you to learn to work with professional software for photographers, Adobe Photoshop and Lightroom are the first ones you gonna need. Those skills are a significant plus for any photographer. Doesn’t matter how hard a photographer works on the picture, still, it cannot be done completely without a final touch in the professional software program. The masters can surely say, that understanding of the light is in work of the photographer is extremely important. The skill to correctly choose the source of light and evenly to spread it along the composition is the main feature for good quality artwork. If you are not paying proper attention to your source of light you gonna do a lot of mistakes and as a result, you will get dull, pale with greenish tints from a scarlet, too bright picture. The significant factor on how to distinguish a professional photographer from an amateur is the confidence on how to use a camera. I am absolutely sure that almost every modern user of a common digital camera does not completely know all the functions of their device. Even despite the fact that some cameras will not be able to produce a good quality photo portrait still, due to its great set of functions, it can reflect absolutely qualitative landscapes and other static objects. That’s why when you buy a new photo device it is necessary to learn and investigate it as scrupulous as possible. It is necessary to learn what are all the buttons and levers mean and what they are designed for. Each detail is important for your future work. The light sensitivity (ISO), blind exposure is the main concepts to understand for the photographer beginner. So if you are not learning to work and understand it, you are going to fail. Thanks to the understanding of the light sensitivity of your camera you will have a great chance to make successful photographs in the night conditions. Whether it is an event with fireworks, pyrotechnics or any fire show. You can take photos of people in motion. With time you can start working with models or even join the fashion industry. You can go very far understanding those simple basics. Using the flashlight is the main and very important rule for professional photographers. The available built-in flashlight is not the main advantage for your camera. If you take photos indoors, be careful using your built-in flashlight. Sometimes using this option may even ruin your work, optionally adding the flecks to the faces. That’s why the additional devices are necessary for a professional photographer, but it’s on the later stage. It is not a big secret that if you know the tricks you will be able to hide the insignificant defects of your model appearance and to properly correct the peculiarities of stature or the body shape. When taking photos of the sunset or the dusk, to create amazing views it is necessary to have a basic understanding of the White Balance (WB) color. Every master of the photography knows and understands that camera lens in its functionality is one of the most important parts. Professional photographers definitely know the designation of each and every letter and number on the lens. Understanding this you can define how big is the focus range of this lens model. With full knowledge of those details and nuances, you can significantly save on the necessary photo equipment. The proper work with filters is the next step on the way to the successful artwork. The understanding of this function is a very important help when photographing outdoors. That’s why, based on this advice, I’d like to add that a professional should know and possess all concepts of work taking photographs in the natural conditions. The sun for many amateurs is a very bad assistant, while for the photography virtuoso the sunlight is an inexhaustible source of inspiration. Well, finally, I would like to add that only the practice and experience can make a professional photographer from an amateur. More photos you make and analyze – the better. You should take a chance to photograph everything and always. Look for the beautiful shots, explore the best artworks of the masters of photography, look into the details, try to find the beautiful things and details in everything, participate foto contest. The main recipe of your success is your unlimited imagination, desire for experimenting, and hard work. Everything starts with a first step – just make it!